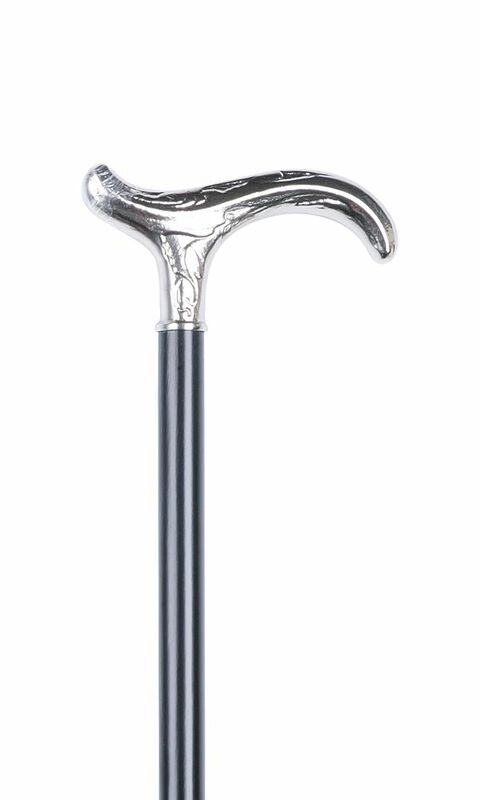 Silver plated art nouveau derby handle wooden walking stick. This stick has a black beech wood shaft with a silver plated decorative handle. Metal ferrule included. Height 91cm or 36".